MR McGuirl, SP Smith, B Sandstede, and S Ramachandran. T Kapitula, R Parker, and B Sandstede. A reformulated Krein matrix for star-even polynomial operators with applications. JJ Bramburger and B Sandstede. Spatially localized structures in lattice dynamical systems. JJ Bramburger, D Altschuler, CI Avery, T Sangsawang, M Beck, P Carter, and B Sandstede. Localized radial roll patterns in higher space dimensions. JR Abrams, A Schwartz, MV Ciocanel, A Volkening, and B Sandstede. Influenza spread on context-specific social networks. S Iyer and B Sandstede. Mixing in reaction-diffusion systems: large phase offsets. Archive for Rational Mechanics and Analysis (published online). T Aougab, M Beck, P Carter, S Desai, B Sandstede, M Stadt, and A Wheeler. Isolas versus snaking of localized rolls. Journal of Dynamics and Differential Equations (published online). X Cao, B Sandstede, and X Luo. A functional data method for causal dynamic network modeling of task-related fMRI. Frontiers in Neuroscience 13 (2019) 127. MV Ciocanel, B Sandstede, SP Jeschonek, and KL Mowry. Modeling microtubule-based transport and anchoring of mRNA. SIAM Journal on Applied Dynamical Systems 17 (2018) 2855-2881. E Makrides and B Sandstede. Existence and stability of spatially localized patterns. Journal of Differential Equations 266 (2018) 1073-1120. HM McNamara, S Dodson, Y-L Huang, EW Miller, B Sandstede, and AE Cohen. Geometry-dependent instabilities in electrically excitable tissues. Cell Systems 7 (2018) 359-370. B de Rijk and B Sandstede. Diffusive stability against nonlocalized perturbations of planar wave trains in reaction-diffusion systems. Journal of Differential Equations 265 (2018) 5315-5351. A Volkening and B Sandstede. Iridophores as a source of robustness in zebrafish stripes and variability in Danio patterns. Nature Communications 9 (2018) 3231. P Carter and B Sandstede. Unpeeling a homoclinic banana in the FitzHugh-Nagumo system. SIAM Journal on Applied Dynamical Systems 17 (2018) 236–349. B Barker, R Nguyen, B Sandstede, N Ventura, and C Wahl. Computing Evans functions numerically via boundary-value problems. Physica D 367 (2018) 1–10. V Ciocanel, JA Kreiling, JA Gagnon, KL Mowry, and B Sandstede. Analysis of active transport by fluorescence recovery after photobleaching. Biophysical Journal 112 (2017) 1714-1725. C Xia, C Cochrane, J DeGuire, G Fan, E Holmes, M McGuirl, P Murphy, J Palmer, P Carter, L Slivinski, and B Sandstede. Assimilating Eulerian and Lagrangian data in traffic-flow models. Physica D 346 (2017) 59-72. P Carter, B de Rijk, and B Sandstede. Stability of traveling pulses with oscillatory tails in the FitzHugh-Nagumo system. Journal of Nonlinear Science 26 (2016) 1369–1444. EA Powrie, V Ciocanel, JA Kreiling, JA Gagnon, B Sandstede, and KL Mowry. Using in vivo imaging to measure RNA mobility in Xenopus laevis oocytes. B Sandstede and T Theerakarn. Regularity of center manifolds via the graph transform. Journal of Dynamics and Differential Equations 27 (2015) 989-1006. Modelling stripe formation in zebrafish: an agent-based approach. 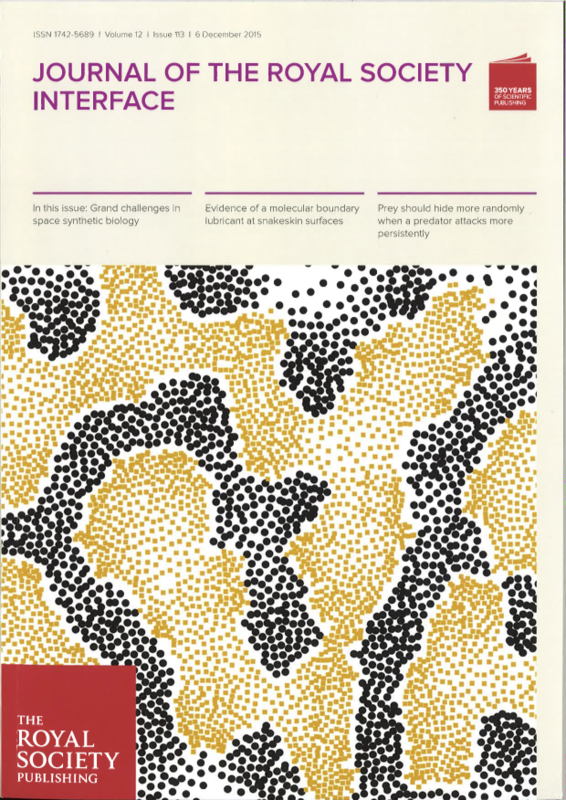 Journal of the Royal Society Interface 12 (2015) 20150812. J Guckenheimer, B Krauskopf, HM Osinga and B Sandstede. Invariant manifolds and global bifurcations. Fast pulses with oscillatory tails in the FitzHugh-Nagumo system. SIAM Journal on Mathematical Analysis 47 (2015) 3285-3441. L Slivinski, E Spiller, A Apte, and B Sandstede. A hybrid particle-ensemble Kalman filter for Lagrangian data assimilation. Monthly Weather Review 143 (2015) 195–211. P Carter, PL Christiansen, YB Gaididei, C Gorria, B Sandstede, MP Sorensen, and J Starke. Multi-jam solutions in traffic models with velocity-dependent driver strategies. SIAM Journal on Applied Mathematics 74 (2014) 1895–1918. K McQuighan and B Sandstede. Oscillons in the planar Ginzburg-Landau equation with 2:1 forcing. M Beck, T Nguyen, B Sandstede and K Zumbrun. Nonlinear stability of source defects in the complex Ginzburg-Landau equation. P van Heijster and B Sandstede. Bifurcations to travelling planar spots in a three-component FitzHugh-Nagumo system. Physica D 275 (2014) 19-34. Predicting the bifurcation structure of localized snaking patterns. Physica D 268 (2014) 59-78. S McCalla and B Sandstede. Spots in the Swift-Hohenberg equation. 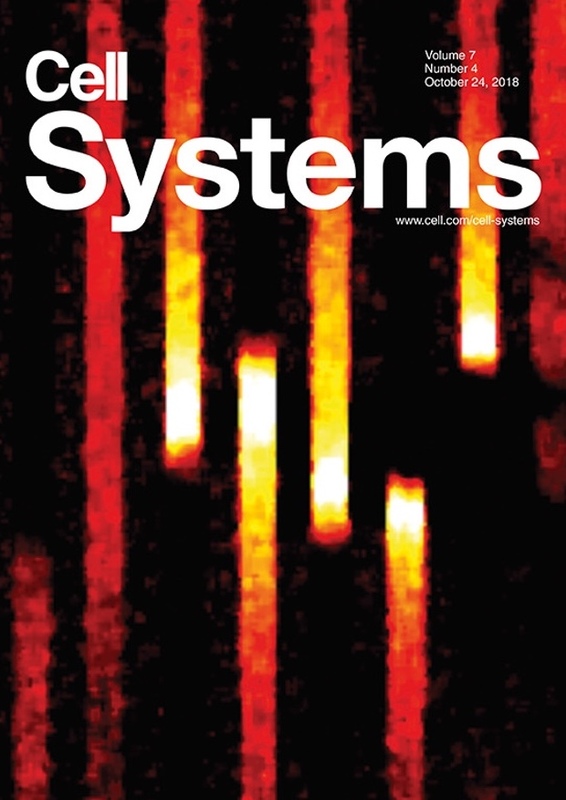 SIAM Journal on Applied Dynamical Systems 12 (2013) 831-877. HJ Hupkes and B Sandstede. Stability of pulse solutions for the discrete FitzHugh-Nagumo system. Transactions of the American Mathematical Society 365 (2013) 251-301. B Sandstede and Y Xu. Snakes and isolas in non-reversible conservative systems. Dynamical Systems 27 (2012) 317-329. Coexistence of stable spots and fronts in a three-component FitzHugh-Nagumo system. RIMS Kokyuroku Bessatsu B31 (2012) 135-155. B Sandstede, A Scheel, G Schneider and H Uecker. Diffusive mixing of periodic wave trains in reaction-diffusion systems. Journal of Differential Equations 252 (2012) 3541-3574. 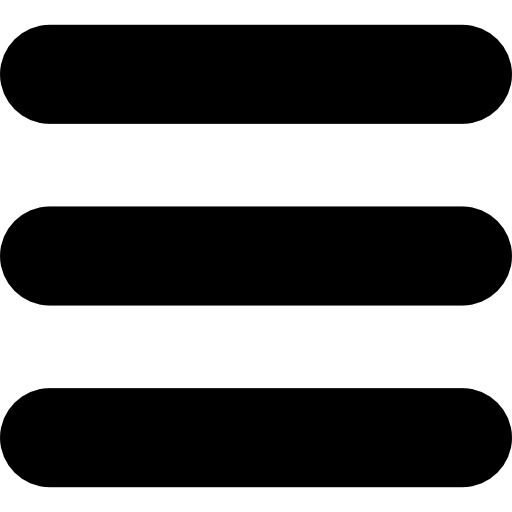 Toward nonlinear stability of sources via a modified Burgers equation. Physica D 241 (2012) 382-392. Planar radial spots in a three-component FitzHugh-Nagumo system. Journal of Nonlinear Science 21 (2011) 705-745. HJ Hupkes, D Pelinovsky and B Sandstede. Propagation failure in the discrete Nagumo equation. Proceedings of the American Mathematical Society 139 (2011) 3537-3551. J Knobloch, DJB Lloyd, B Sandstede and T Wagenknecht. Isolas of 2-pulse solutions in homoclinic snaking scenarios. Journal of Dynamics and Differential Equations 23 (2011) 93-114. G Derks, S Maad and B Sandstede. Perturbations of embedded eigenvalues for the planar bilaplacian. Journal of Functional Analysis 260 (2011) 340-398. Travelling pulses for the discrete FitzHugh-Nagumo system. SIAM Journal on Applied Dynamical Systems 9 (2010) 827-882. D Avitabile, DJB Lloyd, J Burke, E Knobloch and B Sandstede. To snake or not to snake in the planar Swift-Hohenberg equation. SIAM Journal on Applied Dynamical Systems 9 (2010) 704-733. S McCalla and B Sandstede. Snaking of radial solutions of the multi-dimensional Swift-Hohenberg equation: a numerical study. Physica D 239 (2010) 1581-1592. D Obeid, JM Kosterlitz and B Sandstede. State selection in the noisy stabilized Kuramoto-Sivashinsky equation. Physical Review E 81 (2010) 066205. M Beck, B Sandstede and K Zumbrun. Nonlinear stability of time-periodic viscous shocks. Archive for Rational Mechanics and Analysis 196 (2010) 1011-1076. M Beck, HJ Hupkes, B Sandstede and K Zumbrun. Nonlinear stability of semidiscrete shocks for two-sided schemes. SIAM Journal on Mathematical Analysis 42 (2010) 857-903. M Oh and B Sandstede. Evans functions for periodic waves on infinite cylindrical domains. Journal of Differential Equations 248 (2010) 544-555. V Manukian, N Costanzino, CKRT Jones and B Sandstede. Existence of multi-pulses of the regularized short-pulse and Ostrovsky equations. Journal of Dynamics and Differential Equations 21 (2009) 607-622. Modulated wave trains in lattice differential systems. Journal of Dynamics and Differential Equations 21 (2009) 417-485. V Manukian and B Sandstede. Multi-hump pulses in systems with reflection and phase invariance. Journal of Differential Equations 247 (2009) 1866-1898. M Beck, J Knobloch, DJB Lloyd, B Sandstede and T Wagenknecht. Snakes, ladders, and isolas of localised patterns. SIAM Journal on Mathematical Analysis 41 (2009) 936-972. A Doelman, B Sandstede, A Scheel and G Schneider. The dynamics of modulated wave trains. Memoirs of the American Mathematical Society 199(934) (2009). M Beck, A Ghazaryan and B Sandstede. Nonlinear convective stability of travelling fronts near Turing and Hopf instabilities. Journal of Differential Equations 246 (2009) 4371-4390. BG Bale, N Kutz and B Sandstede. Optimizing waveguide array mode-locking for high-power fiber lasers. IEEE Journal of Selected Topics in Quantum Electronics 15 (2009) 210-231. DJB Lloyd and B Sandstede. Localized radial solutions of the Swift-Hohenberg equation. DJB Lloyd, B Sandstede, D Avitabile and AR Champneys. Localized hexagon patterns of the planar Swift-Hohenberg equation. SIAM Journal on Applied Dynamical Systems 7 (2008) 1049-1100. Perturbations of embedded eigenvalues for the bilaplacian on a cylinder. Discrete and Continuous Dynamical Systems A 21 (2008) 801-821. B Sandstede and A Scheel. Hopf bifurcation from viscous shock waves. SIAM Journal on Mathematical Analysis 39 (2008) 2033-2052. N Kutz and B Sandstede. Theory of passive harmonic mode-locking using waveguide arrays. Optics Express 16 (2008) 636-650. Relative Morse indices, Fredholm indices, and group velocities. Discrete and Continuous Dynamical Systems A 20 (2008) 139-158. Evans functions and nonlinear stability of travelling waves in neuronal network models. International Journal of Bifurcation and Chaos 17 (2007) 2693-2704. Period doubling of spiral waves and defects. SIAM Journal on Applied Dynamical Systems 6 (2007) 494-547. A Ghazaryan and B Sandstede. Nonlinear convective instability of Turing-unstable fronts near onset: A case study. SIAM Journal on Applied Dynamical Systems 6 (2007) 319-347. JDM Rademacher, B Sandstede and A Scheel. Computing absolute and essential spectra using continuation. Physica D 229 (2007) 166-183. J Humpherys, B Sandstede and K Zumbrun. Efficient computation of analytic bases in Evans function analysis of large systems. Numerische Mathematik 103 (2006) 631-642. Curvature effects on spiral spectra: Generation of point eigenvalues near branch points. Physical Review E 73 (2006) 016217. G Samaey and B Sandstede. Determining stability of pulses for partial differential equations with time delays. Dynamical Systems 20 (2005) 201-222. T Kapitula, PG Kevrekidis and B Sandstede. Addendum: Counting eigenvalues via the Krein signature in infinite-dimensional Hamiltonian systems. Physica D 201 (2005) 199-201. E Grenier, CKRT Jones, F Rousset and B Sandstede. Viscous perturbations of marginally stable Euler flow and finite-time Melnikov theory. Basin boundaries and bifurcations near convective instabilities: A case study. Journal of Differential Equations 208 (2005) 176-193. Absolute instabilities of standing pulses. T Kapitula, N Kutz and B Sandstede. The Evans function for nonlocal equations. Indiana University Mathematics Journal 53 (2004) 1095-1126. MD Groves and B Sandstede. A plethora of three-dimensional periodic travelling gravity-capillary water waves with multipulse transverse profiles. Journal of Nonlinear Science 14 (2004) 297-340. Evans function and blow-up methods in critical eigenvalue problems..
Discrete and Continuous Dynamical Systems 10 (2004) 941-964. Defects in oscillatory media: toward a classification. SIAM Journal on Applied Dynamical Systems 3 (2004) 1-68. Propagation of hexagonal patterns near onset. European Journal of Applied Mathematics 14 (2003) 85-110. J Härterich, B Sandstede and A Scheel. Exponential dichotomies for linear non-autonomous functional differential equations of mixed type. Indiana University Mathematics Journal 51 (2002) 1081-1109. J O’Neil, N Kutz and B Sandstede. Theory and simulations of the dynamics and stability of actively modelocked lasers. IEEE Journal of Quantum Electronics 38 (2002) 1412-1419. Stability of pulses in the master-modelocking equation. Journal of the Optical Society of America B 19 (2002) 740-746. T Kapitula and B Sandstede. Edge bifurcations for near integrable systems via Evans function techniques. SIAM Journal on Mathematical Analysis 33 (2002) 1117-1143. On the structure of spectra of modulated travelling waves. Mathematische Nachrichten 232 (2001) 39-93. R Moore, WL Kath, B Sandstede, CKRT Jones and JC Alexander. Stability of multiple pulses in optical fibers with phase-sensitive amplification and noise. Optics Communications 195 (2001) 127-139. Essential instabilities of fronts: bifurcation, and bifurcation failure. Dynamical Systems 16 (2001) 1-28. On the stability of periodic travelling waves with large spatial period. Journal of Differential Equations 172 (2001) 134-188. Superspiral structures of meandering and drifting spiral waves. Physical Review Letters 86 (2001) 171-174. Absolute and convective instabilities of waves on unbounded and large bounded domains. Physica D 145 (2000) 233-277. Absolute versus convective instability of spiral waves. Physical Review E 62 (2000) 7708-7714. Center manifolds for homoclinic solutions. Journal of Dynamics and Differential Equations 12 (2000) 449-510. Gluing unstable fronts and backs together can produce stable pulses. B Sandstede, S Balasuriya, CKRT Jones and P Miller. Melnikov theory for finite-time vector fields. GJ Lord, D Peterhof, B Sandstede and A Scheel. Numerical computation of solitary waves in infinite cylindrical domains. SIAM Journal on Numerical Analysis 37 (2000) 1420-1454. Spectral stability of modulated travelling waves bifurcating near essential instabilities. Proceedings of the Royal Society of Edinburgh A 130 (2000) 419-448. AC Yew, B Sandstede and CKRT Jones. Instability of multiple pulses in coupled nonlinear Schrödinger equations. Physical Review E 61 (2000) 5886-5892. Essential instability of pulses and bifurcations to modulated travelling waves. Proceedings of the Royal Society of Edinburgh A 129 (1999) 1263-1290. D Peterhof and B Sandstede. All-optical clock recovery using multisection distributed-feedback lasers. Journal of Nonlinear Science 9 (1999) 575-613. B Sandstede, A Scheel and C Wulff. Bifurcations and dynamics of spiral waves. Journal of Nonlinear Science 9 (1999) 439-478. Stability of bright solitary-wave solutions to perturbed nonlinear Schrödinger equations. Physica D 124 (1998) 58-103. Instability mechanism for bright solitary-wave solutions to the cubic-quintic Ginzburg-Landau equation. Journal of the Optical Society of America B 15 (1998) 2757-2762. U Bandelow, L Recke and B Sandstede. Frequency regions for forced locking of self-pulsating multi-section DFB lasers. Optics Communications 147 (1998) 212-218. S Balasuriya, CKRT Jones and B Sandstede. Viscous perturbations of vorticity-conserving flows and separatrix splitting. Transactions of the American Mathematical Society 350 (1998) 429-472. Stability of N-fronts bifurcating from a twisted heteroclinic loop and an application to the FitzHugh-Nagumo equation. SIAM Journal on Mathematical Analysis 29 (1998) 183-207. Dynamics of spiral waves on unbounded domains using center-manifold reductions. Journal of Differential Equations 141 (1997) 122-149. D Peterhof, B Sandstede and A Scheel. Exponential dichotomies for solitary-wave solutions of semilinear elliptic equations on infinite cylinders. Journal of Differential Equations 140 (1997) 266-308. Instability of localized buckling modes in a one-dimensional strut model. Philosophical Transactions of the Royal Society of London A 355 (1997) 2083-2097. Convergence estimates for the numerical approximation of homoclinic solutions. IMA Journal of Numerical Analysis 17 (1997) 437-462. B Sandstede, CKRT Jones and JC Alexander. Existence and stability of N-pulses on optical fibers with phase-sensitive amplifiers. Physica D 106 (1997) 167-206. Constructing dynamical systems having homoclinic bifurcation points of codimension two..
Journal of Dynamics and Differential Equations 9 (1997) 269-288. JC Alexander, MG Grillakis, CKRT Jones and B Sandstede. Stability of pulses on optical fibers with phase-sensitive amplifiers. Zeitschrift für Angewandte Mathematik und Physik 48 (1997) 175-192. Center-manifold reduction for spiral waves. Comptes Rendus de l’Académie des Sciences I 324 (1997) 153-158. M Krupa, B Sandstede and P Szmolyan. Fast and slow waves in the FitzHugh-Nagumo equation. Journal of Differential Equations 133 (1997) 49-97. B Fiedler, B Sandstede, A Scheel and C Wulff. Bifurcation from relative equilibria of noncompact group actions: skew products, meanders, and drifts. Documenta Mathematica 1 (1996) 479-505. AR Champneys, YA Kuznetsov and B Sandstede. A numerical toolbox for homoclinic bifurcation analysis. International Journal of Bifurcation and Chaos 6 (1996) 867-887. AR Champneys, J Härterich and B Sandstede. A non-transverse homoclinic orbit to a saddle-node equilibrium. Ergodic Theory & Dynamical Systems 16 (1996) 431-450. Forced symmetry breaking of homoclinic cycles. B Sandstede and B Fiedler. Dynamics of periodically forced parabolic equations on the circle. Ergodic Theory & Dynamical Systems 12 (1992) 559-571. P Brunovský, P Polácik and B Sandstede. Convergence in general periodic parabolic equations in one space dimension. Nonlinear Analysis (Theory, Methods & Applications) 18 (1992) 209-215. Encyclopedia of Applied and Computational Mathematics (Edited by B Enquist). AJ Homburg and B Sandstede. Homoclinic and heteroclinic bifurcations in vector fields. Handbook of Dynamical Systems III (Edited by H Broer, F Takens and B Hasselblatt). AR Champneys and B Sandstede. Numerical computation of coherent structures. In: Numerical Continuation Methods for Dynamical Systems (B Krauskopf, HM Osinga and J Galan-Vioque, eds.). In: Encyclopedia of Nonlinear Science (A Scott, ed.). Eigenvalues and resonances using the Evans function. Discrete and Continuous Dynamical Systems A 10 (2004) 857-869. WJ Beyn, A Champneys, E Doedel, W Govaerts, YA Kuznetsov and B Sandstede. Numerical continuation, and computation of normal forms. In: Handbook of Dynamical Systems II (B Fiedler, ed.). Dynamical behavior of patterns with Euclidean symmetry. In: Pattern Formation in Continuous and Coupled Systems (M Golubitsky, D Luss and S Strogatz, eds.). Springer, IMA Volumes in Mathematics and its Applications 115 (1999) 249-264. P Gurevich, J Hell, B Sandstede, and A Scheel (Editors). Springer Proceedings in Mathematics & Statistics 205 (2017). Homoclinic flip bifurcations in conservative reversible systems. In: Recent Trends in Dynamical Systems. Absolute and convective stability in large domains. In: International Conference on Differential Equations, Berlin 1999. World Sci. Publishing 1 (2000) 797-800. Stable multiple pulses in optical fibers with phase-sensitive amplification. In: Nonlinear guided waves and their applications. Optical Society of America, Technical Digest Series 5 (1998) 264-266. D Peterhof, L Recke and B Sandstede. On frequency locking of self-pulsating two-section DFB lasers. In: Self-organization in activator-inhibitor systems: semiconductors, gas-discharge and chemical active media (H Engel, FJ Niedernostheide, HG Purwins and E Schöll, eds.). Wissenschaft und Technik Verlag (1996) 218-222. Asymptotic behavior of solutions of nonautonomous scalar reaction-diffusion equations. In: International Conference on Differential Equations, Barcelona 1991 (C Perello, C Simo and J Sola-Morales, eds.). World Sci. Publishing 2 (1993) 888-892. E Doedel, RC Paffenroth, AR Champneys, TF Fairgrieve, YA Kuznetsov, BE Oldeman, B Sandstede and X Wang. AUTO2000: Continuation and bifurcation software for ordinary differential equations (with HOMCONT). Technical report, Concordia University, 2002. E Doedel, AR Champneys, TF Fairgrieve, YA Kuznetsov, B Sandstede and X Wang. AUTO97: Continuation and bifurcation software for ordinary differential equations (with HOMCONT). Technical report, Concordia University, 1997. AR Champneys, YA Kutznetsov and B Sandstede. HOMCONT: An AUTO86 driver for homoclinic bifurcation analysis (Version 2.0). Technical Report AM-R9516, CWI Amsterdam, 1995. PhD thesis, University of Stuttgart, 1993. Omega-Limesmengen von Lösungen eindimensionaler Wärmeleitungsgleichungen mit periodischer Zeitabhängigkeit. Master’s thesis, University of Heidelberg, 1990.